Meeting Alice Mizrachi a.k.a AM at the Rooftop Legends event was refreshing. She’s a working artist, who’s been commissioned for a list of iconic companies including Gravis, The Washington Post and Shape Magazine. Her murals can been scene all over the world, yet she remains humble and would rather be known as an art activist. Her cause? 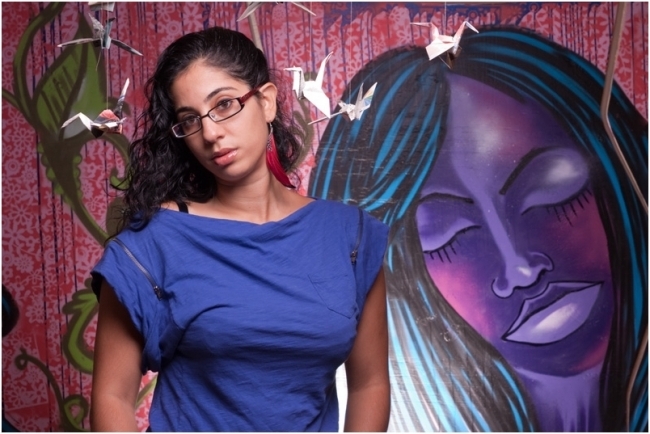 Educating today’s youth in central Harlem as a teaching artist, and as a co-founder of the YOUNITY Arts Collective. Alice’s excellence as an artist is undeniable, but her passion in uniting and cultivating young female artists and entrepreneurs through YOUNITY,angelic. I bow to you. « Apricot Brown & Emmy!